This sis o gorgeous! Sakura and Syaoran are so cute! Gorgeous scan. I can't wait to see someone vector it. Great job, thanks for sharing. 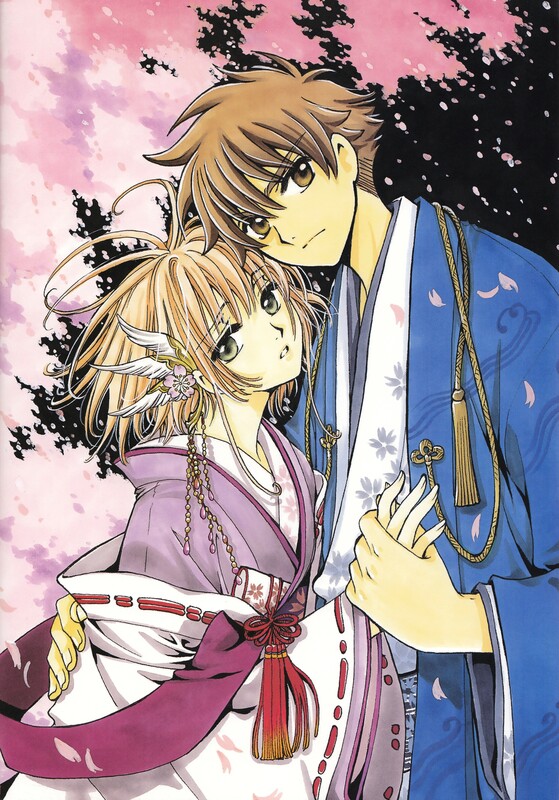 Thanks for sharing...I really love pics with sakura & syaoran together. OMG! This is such a wonderful scan! I really love how mature those two look, they looks so good together. Thank you for sharing this absolutely marvelous scan. Sakura-hime so cute. Her kimono very beautiful and hair ornament very nice. Syaoran so gentle. His kimono is proper with him. I presume this is also the "real" sakura. Oy~! So sad ! T______T ! CLAMP with their jewelery...it always adds a special touch! I guess thats their signature..using ornaments in their drawings! Oh WOW so pretty, I love Sakura's hair ornament! Wow, so pretty. I havn't seen this before. i love this pic ! great scan. added to favorites.